At RainSoft, we take home water purification to a new level. 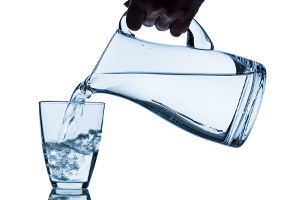 RainSoft drinking water purifiers are Tested and Certified by the Water Quality Association (WQA), a not-for-profit consortium of residential, commercial, and industrial water treatment professionals. The WQA’s Gold Seal is one of the most widely recognized product certification marks in the world, and is a reliable identifier of product quality. Each home water purification system that we sell is also backed by RainSoft’s Limited Lifetime Warranty, meaning your investment will always be protected. Furthermore, our purifiers are wholly assembled in the U.S.A. with exceptional attention to overall product quality. Upon installation in your home, a RainSoft drinking water purification system will give your family access to an unlimited supply of better than bottle-quality water right from the kitchen faucet. No longer will you be forced to buy, transport, store, and recycle countless plastic water bottles on a regular basis. Ultrefiner II – With multiple lines of defense against impurities, including a membrane that utilizes reverse osmosis technology, the Ultrefiner II is our premier drinking water system. It rids water of contaminants at the molecular level. Hydrefiner – Compact and economical, the Hydrefiner purifier from RainSoft produces crisp, great-tasting water for drinking, washing vegetables, brewing coffee and tea, and more. This purifier utilizes highly advanced carbon block filters to remove chlorine taste and odor and other contaminants. To learn more about the home water purification systems we have available, contact an authorized RainSoft dealer near you to schedule a complimentary water test and an in-home product demonstration. We also offer problem-solving home water filters, water conditioners, air purifiers, and more.